organizational alignment and drive strategy execution. 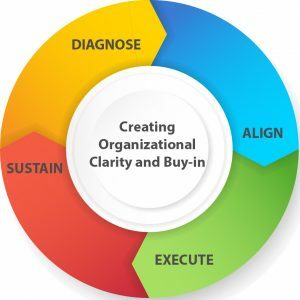 Our framework is built around creating organizational clarity and buy-in. It’s especially powerful for small to mid-sized organizations with up to 100 employees.